2. Submit in MS Word document. 3. 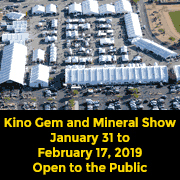 Subject matter: Interesting tourist or travel piece about the show city and/or something related to the gem and mineral show where the EZ-Guide is distributed. 4. If published, writers receive 20¢ per published word + byline. 1. Submit up to ten photos (digital, 300 dpi resolution) with photo captions. 2. Include brief descriptive caption for each photo. 3. Include the name of photographer as they would like it published in credit line. 4. If published, freelance photographers receive $25 per photo + credit line. 5. Show vendor photographers pay Xpo Press a fee per photo, and their company name, show booth or room number, and website will be published under photo: $99 if published in Tucson EZ-Guide (Feb. ed.) 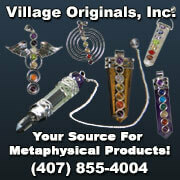 or International Gem Show Directory; $66 if published in any other EZ-Guide. For large files or folders (10MB or more) post them on a server and send us a link to download them. You will be contacted only if we accept your submission for publication. Thank you.